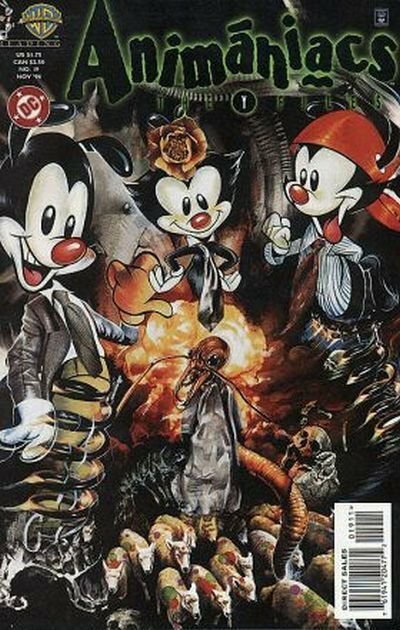 Click Here To See Animaniacs #19 Comic Book! 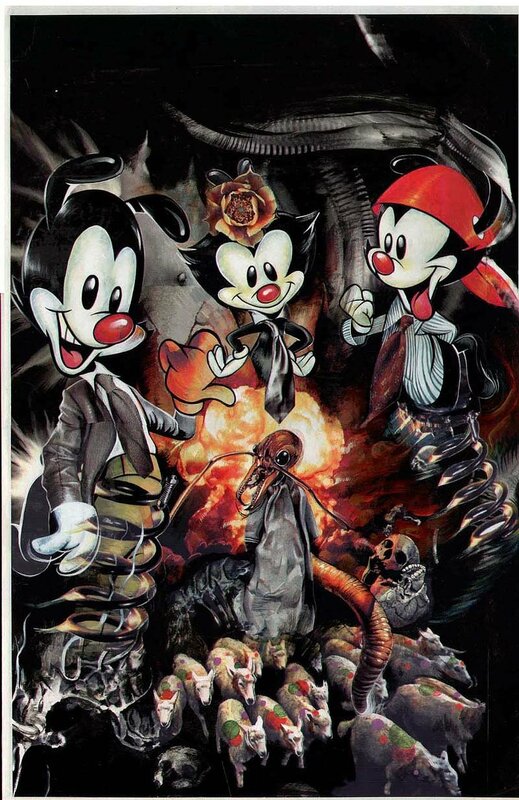 Original cover art for Animaniacs #19, published by DC Comics in 1996. This classic cover features the WB Animaniacs characters in a horrifying X-Files parody cover scene! Done by well-established artist Miran Kim, the piece is a mix of painted work and collage, which is how Kim often works. The full board measures approximately 12" by 18 1/2". Please note that the piece does have some wear, with a couple of bend marks in the board. These are not overly obtrusive, but I did want to mention it. Kim's work is hard to find, and many of her pieces are displayed in fine art galleries, commanding prices in the thousands of dollars. She is known for creating stunning and unique pieces such as this one, and has also worked on X-Files, Predator, and other comic titles in addition to her fine art painting. Compare this nice cover art to the published comic book in the red link above, COOL!